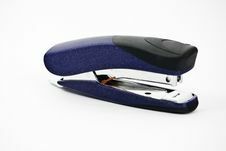 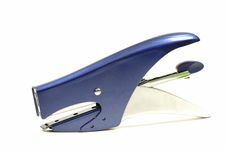 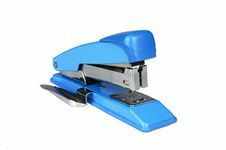 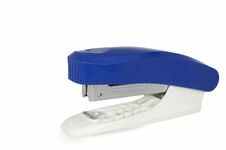 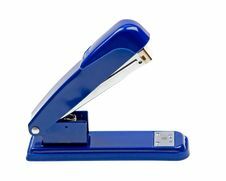 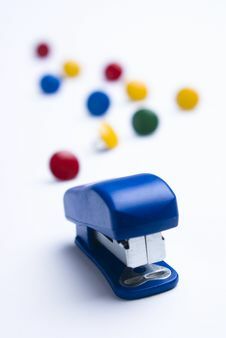 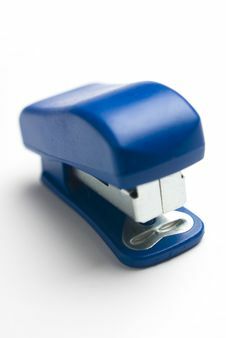 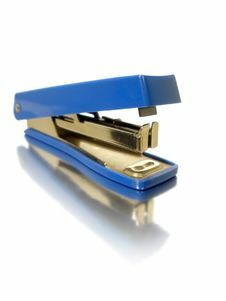 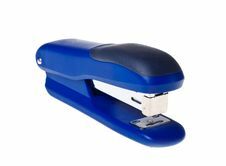 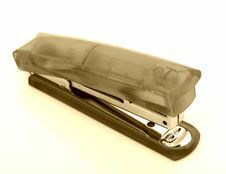 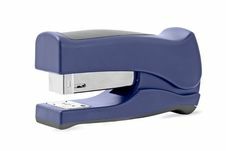 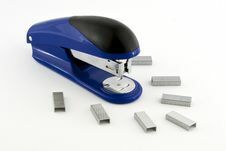 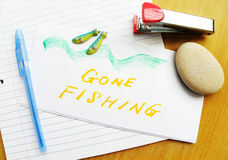 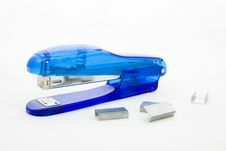 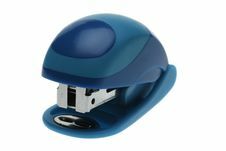 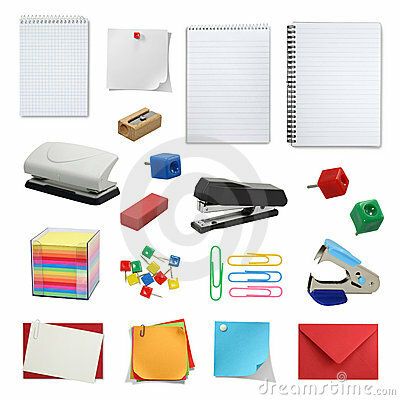 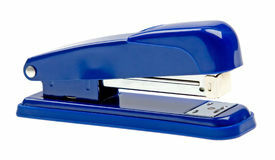 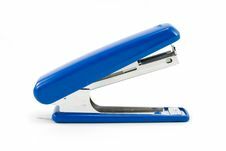 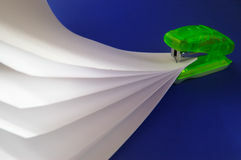 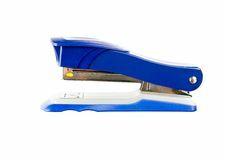 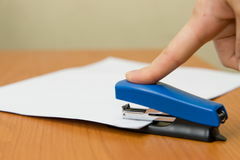 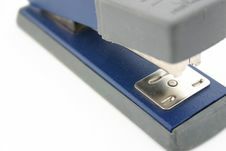 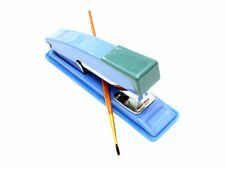 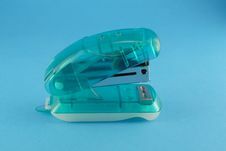 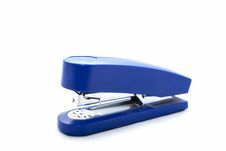 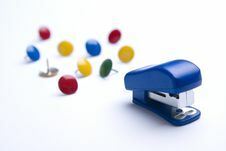 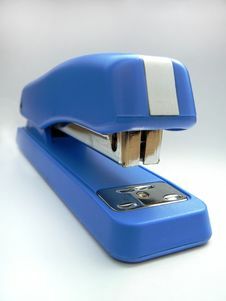 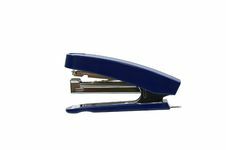 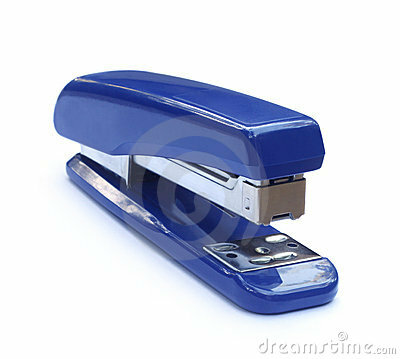 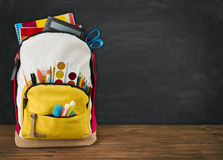 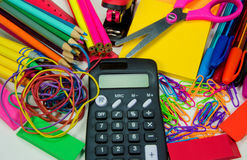 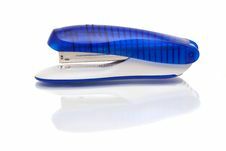 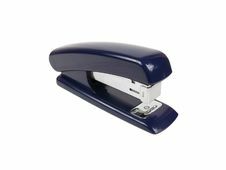 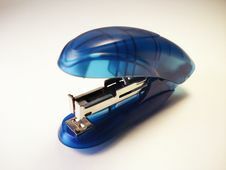 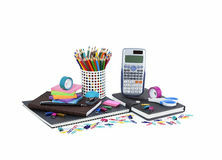 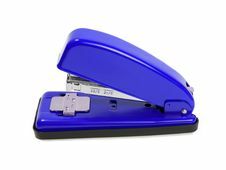 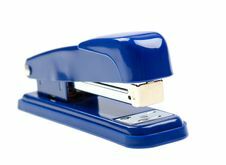 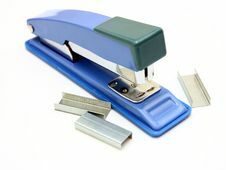 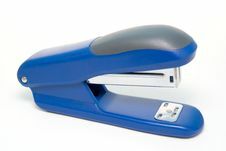 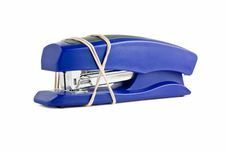 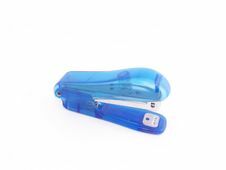 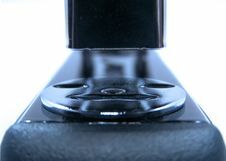 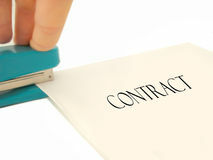 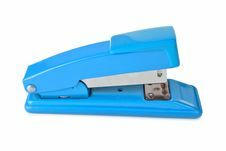 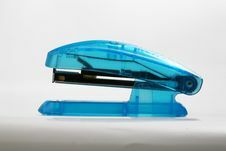 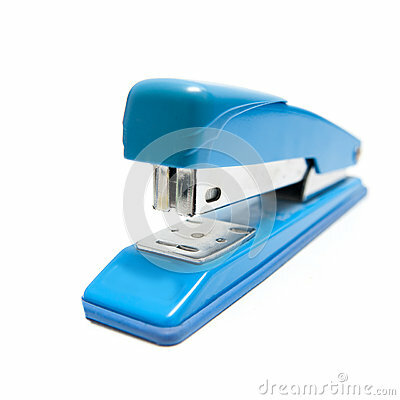 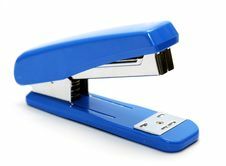 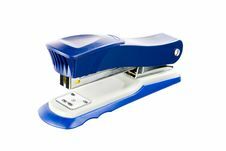 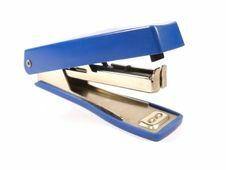 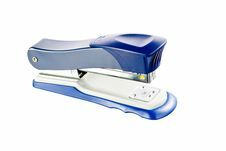 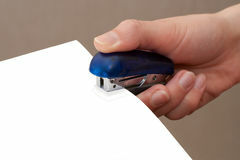 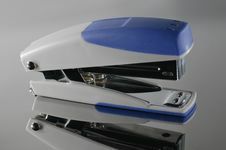 Blue Stapler On White Background. 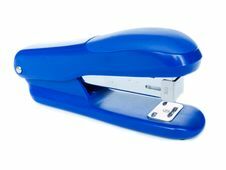 Blue Stapler On White With Thumb Tacks. 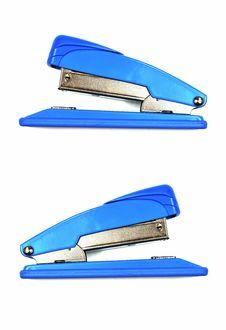 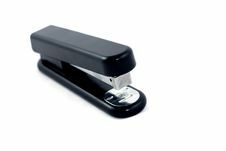 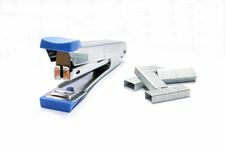 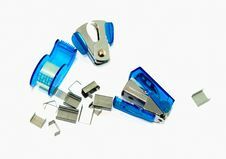 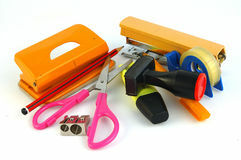 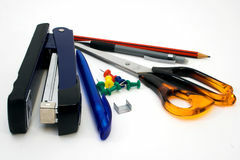 Stapler , Tape And Stapler Remover .